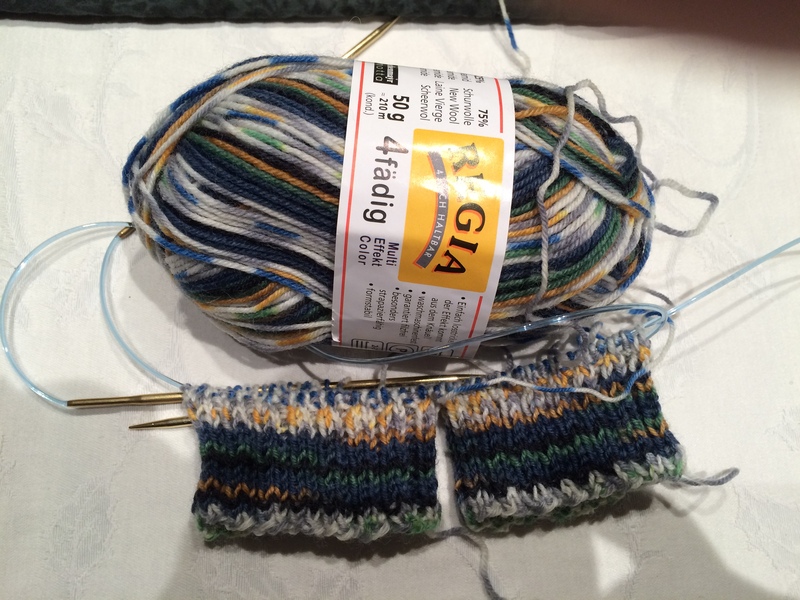 I was going to wait until I had some other projects finished, but, yes, I did start another pair of socks. These will be just plain knitting as the yarn has enough interest that a pattern will not show very good. Other than that, I went to the gym this morning. I baked two apple pies, but am not happy enough with the crust to show you. However, they do taste good. And there was some house cleaning done as well. I pray you will have a safe and restful weekend and I’ll be back Sunday.